But drop into the Park Avenue Armory to experience it for yourself. 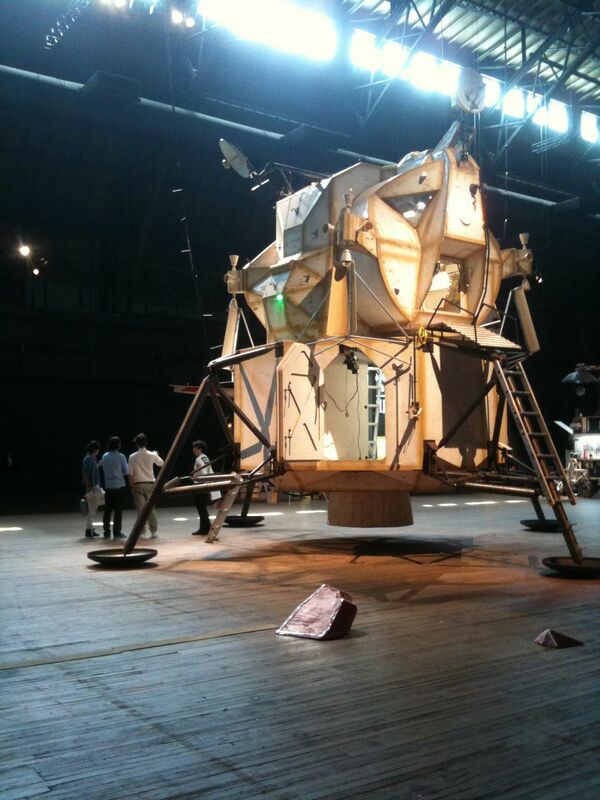 Tom Sachs has created the surface of Mars and an exploratory base out of materials that he scrounged near his art studio. The results are spectacular, fun, and a trip worth taking. You’ll go through orientation to enter Space Program: Mars, but once you’re on the base, you can stroll around, take the test to enter the LEM, chat with the dozens of lab-coated workers, tour the museum, or just sit and view it all from the bleachers in front of Mission Control. Seriously, you can be entertained all day. Check out the inspiring trailer and a few on-site photos. If you’ve wanted to travel to Mars, now’s your chance, before the show blasts off June 17. This entry was posted in Art, Museums, Technology and tagged art, arts, culture, events, museums, science by mssusanb. Bookmark the permalink.